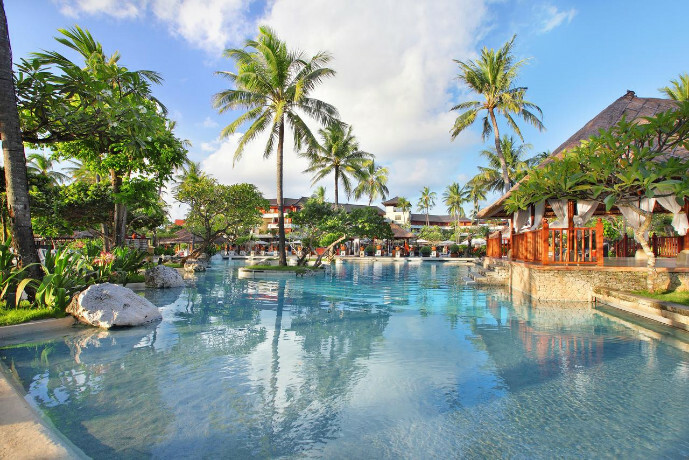 This exclusive getaway to the Nusa Dua Beach Hotel & Spa in Bali is the beach-hopper’s dream destination! 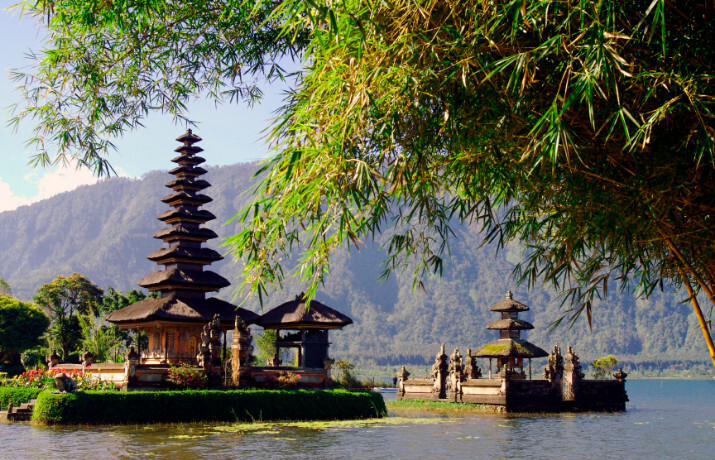 Spend five nights on Bali’s spell-binding shores, marvelling at dazzling Hindu temples and mesmerizing marine life while enjoying a luxury 5 Star hotel stay to rival all others. You’ll fall in love with this Indonesian island the moment you lay eyes on it. Twinkling coastlines border smouldering volcanic landscapes and temple-ridden towns to create a picture-perfect island and unforgettable holiday destination. 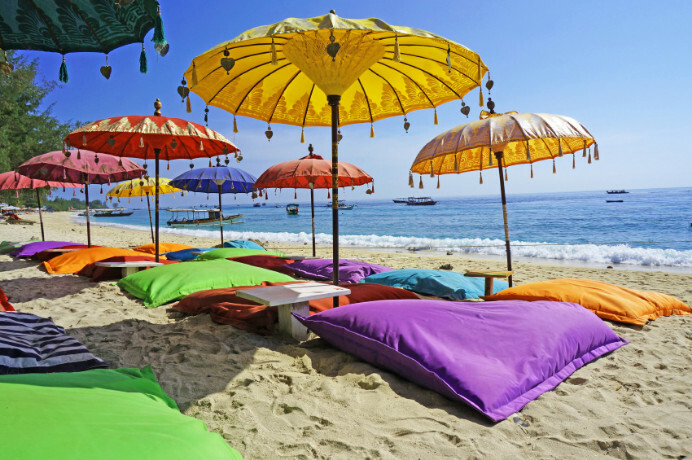 Wash up on Bali’s shores and you’ll stumble across no end of things to do. 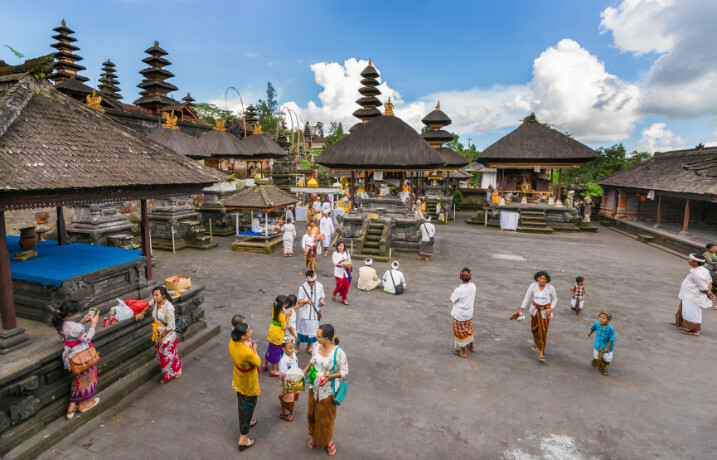 Seminyak surf schools will teach you the ways of the wave-chaser, spirited hikes across blackened terrain up to the grumbling Mount Batur will have you working up a sweat, and the inhabitants of the Ubud Monkey Forest will try their hardest to steal your heart (and possibly your lunch). 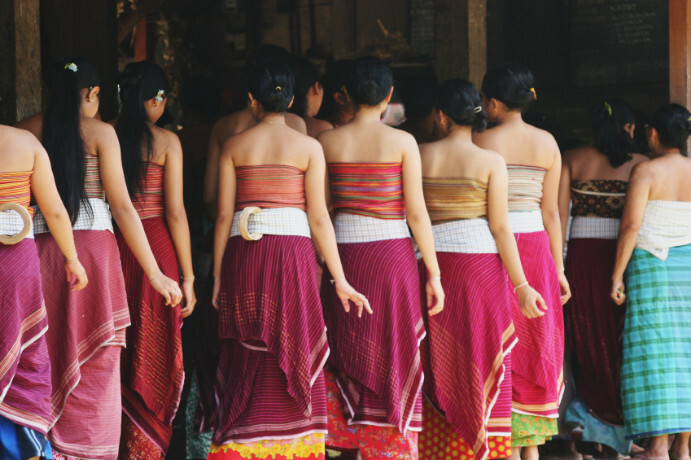 Fill your mornings with visits to the Pasifika Museum where Bali and Southeast Asia’s art scene comes to life. A lesser-known touristy gem filled with Polynesian artefacts, an Indochinese exhibition and the works of both local painters and well-known artists from around the world, the Pasifika Museum is an art buff’s dream come true. Scuba diving, surfing, snorkeling and diving are all popular pursuits around Nusa Dua, offering visitors the chance to get up close and personal with the multi-coloured marine life present within the Coral Triangle, an enchanting patch of ocean within which Bali happens to be conveniently located. And if water-based activities don’t exactly float your boat, Nusa Dua is also home to the most popular golf course in Bali. 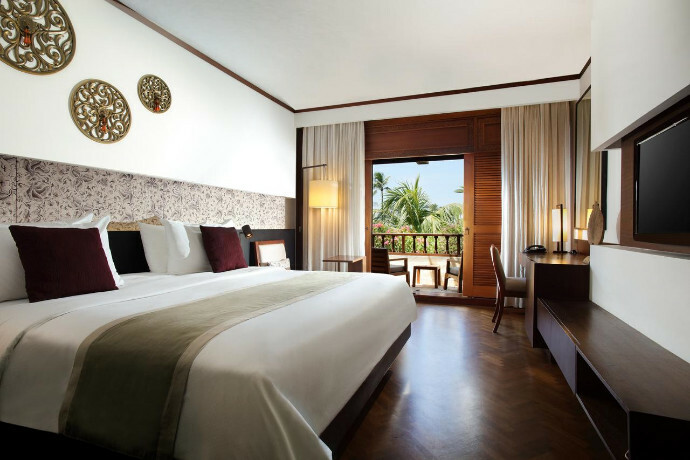 While basking in Bali’s sun, you’ll spend a blissful five nights at the Nusa Dua Beach Hotel & Spa. Located on the island’s southern peninsula, this hotel is la crème de la crème of Bali’s deluxe resorts and has welcomed kings, queens and presidents over the years.Its 9 hectare tropical gardens sit peacefully beside three sun-soaked pools and swaying palms, while the salty spray of the ocean is just a few paces away. Your 5 Star Balinese palace sits upon 200 metres of glowing coastline, meaning that morning strolls along the shore and afternoon paddles in the shallows are a popular pastime. Wander through manicured gardens, relax by one of the three outdoor pools and make sure you head to the hotel’s award-winning spa. 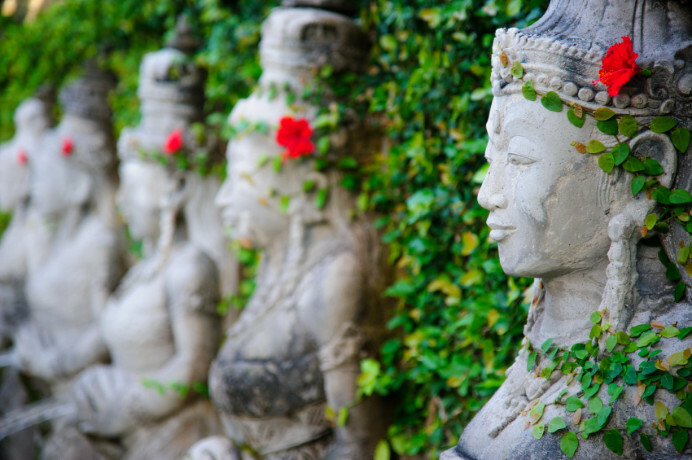 In true Balinese style, beautiful spa facilities offer traditional island treatments which leave you feeling revitalized and energized. Get rid of those aches and pains with sensational massages, open up those pores in a sweaty sauna session or take a cool dip in the 25-metre plunge pool. And after a relaxing hour or two (or three) spent at the spa, sink your teeth into an extraordinary meal at one of the hotel’s many restaurants. Choose from Mediterranean, Balinese and Asian cuisine to set your taste-buds tingling and then round off your evening with a stroll along the pearly-white shore against a blood-orange sunset. 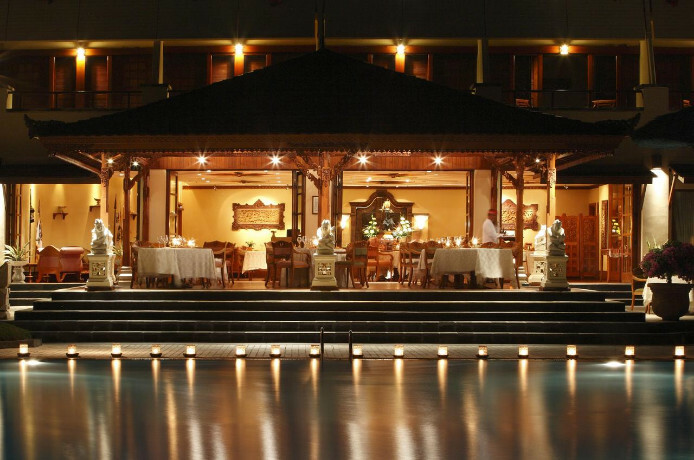 A resort that can claim to have had the royal seal of approval, Nusa Dua Beach Hotel & Spa is an exclusive luxury retreat on the stunning tropical island of Bali. 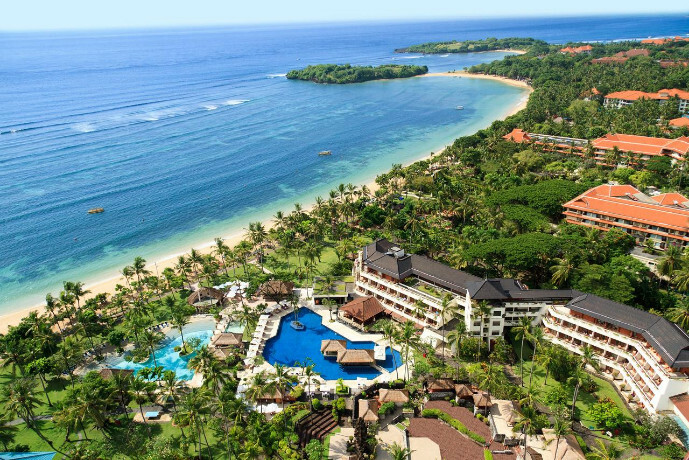 Overlooking the stunning Indian Ocean and across to the imposing Mount Agung, Nusa Dua Beach Hotel & Spa enjoys a spectacular setting that will truly inspire. 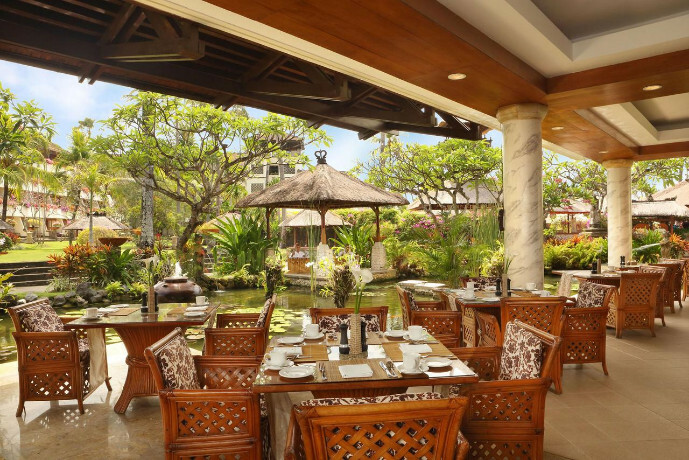 Perfect for couples seeking a romantic holiday or families wanting to treat the children to a stay in paradise, Nusa Dua Beach Hotel & Spa features elegant accommodation, tempting restaurants and sporting activities to complement its place alongside Nusa Dua beach.